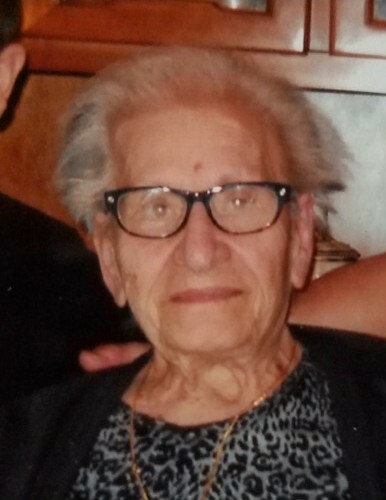 Carmella (DeLeo) Sergio passed away on Friday, November 23, 2018. She was 96. Mrs. Sergio of East Norriton was a member of Holy Saviour church. She retired to take care of her grandson Michael from the former Genuardi's supermarket. And was devoted to taking care of her family. and was the daughter of the late Salvatore and Rosaria (Lepre)DiLeo. She was the wife of the late Nicholas F.Sergio Sr. Relatives and friends are invited to attend her funeral mass on Tuesday, November 27 at 10 AM in Holy Saviour church. Viewing will be held Monday evening from 6 to 8 PM and Tuesday from 8:15 to 9:15 AM at the Volpe funeral home 707 West Germantown Pike at Whitehall, East Norriton.